Sweeten up your hair care regime with this natural sugar-infused range AND enjoy a dose of the feel-good factor. Paul Mitchell Neon has teamed up with The Diana Award’s charity, Stand Up To Bullying, so every time you buy a Neon product, you’re supporting young people who have done exceptional anti-bullying work. We also love the '80s-style funky packaging and, while it’s primarily aimed at Generation Z, we think there’s something for all ages. Notable standouts are the Sugar Spray for its no crunch feel, and smoothing Sugar Cream for keeping flyaways at bay when we’re having a braid day. 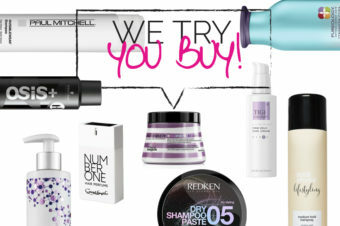 RRP from: £4.95; Click HERE to find your nearest salon that stocks Paul Mitchell. Fun fact: your hair can burn just like skin when it's unprotected. This is why we're making sure Sun Shield from Philip Kingsley is in our vacay essentials. Enriched with sunflower seed extract, Sun Shield guards against colour fade from sun exposure and reduces damage and dryness caused by UV rays, chlorine and salt water – fabulous post-holiday hair can be yours! We're already fans of the Bumble and bumble Hairdresser’s Invisible Oil range and so were very excited to try the latest addition. The Cleansing Oil-Creme Duo is a low-foam shampoo and moisturising creme in dual chambers (nifty) and is a lovely, soft cleanser – perfect for those not quite ready to fully commit to co-cleansing, or for very dry hair that needs extra TLC. Got super damaged hair? Get yourself to a Fudge Professional salon to try its new Time Machine treatment. Step one, Rewind Fuel, reverses damage while making the hair an incredible 180 per cent stronger, while step two, Seal and Armour, seals the hair, leaving it eight times softer. Step three is Top Lock, a fancy super-smoother that you can buy in-salon that leaves hair five-times softer and smoother for up to 10 weeks. Remember those cool girls that chain-smoked behind the bike sheds and didn't tuck in their school shirts? Is it our imagination or did they all have dishevelled, devil-may-care hair? That is the look we've been trying to emulate for the past 10 (or so) years. And now we can with Cool Girl. One of four new products unveiled by legendary fashion week hairstylist, Sam McKnight, Cool Girl is a barely there texturiser that gives perfect mussed-up texture. Oh and it smells delish, with aromas based on Sam's garden (see @SamMcKnight1). One spray and we can say we've been styled by Sam! Available at Liberty for now, but plans are afoot to branch out in September. 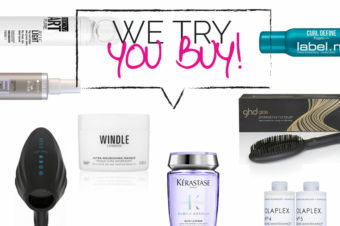 Listen, we know it’s pricey, but you get a lot of bang for your buck. This four-step regime from Organic Colour Systems features a shampoo, conditioner, treatment and supplements, and it's all designed to improve the strength and condition of the scalp and hair with the aim of providing the best environment for hair growth. It's taken more than five years to develop and stays true to its natural roots (sorry!) through a blend of amino acids and extracts of red clover flower, used to treat inflammatory skin disorders. We're an office of blondes, bar one, so couldn't wait to try this... and we can tell you it's one hard-working wonder. The leave-in multi-tasker hydrates, detangles, protects the hair from heated tools, boosts shine and reduces frizz – all while helping to keep blondes brighter. Phew-y! 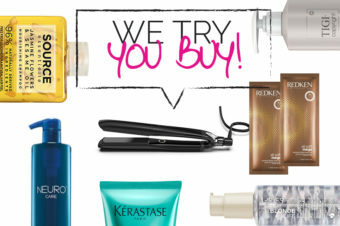 We've seen it happen countless times – people will spend a little more on shampoo and conditioner but skimp back on styling; this is where it all falls down. But gamble on Style Masters Double or Nothing from Revlon Professional and you won't regret it – it's got the essentials down pat. 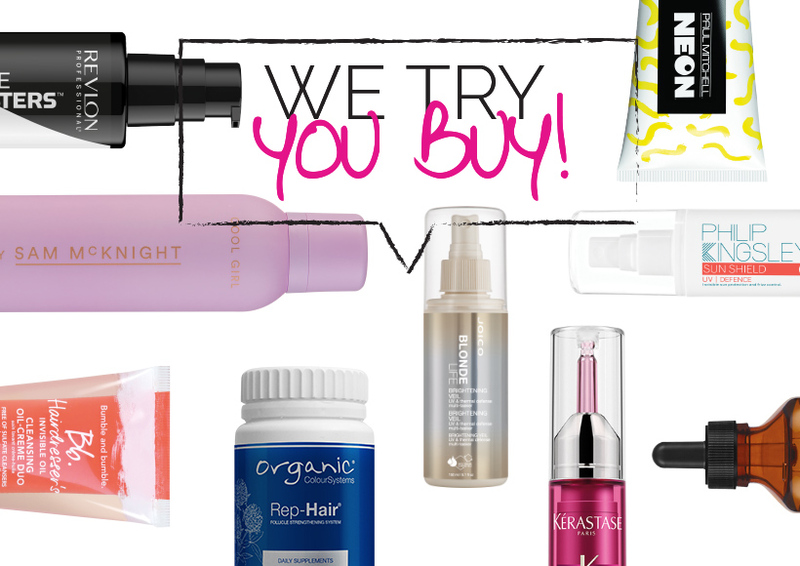 Choose from primer and anti-frizz shine serum, Brightastic; restyling fluid wax, Endless Control; temporary straightener, Lissaver, and volumising dry shampoo, Reset. 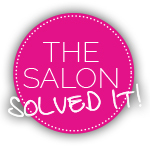 Love it when you've just had your hair coloured at the salon, but hate it when it starts to fade? Us too! So you'll be intrigued by Kérastase's upgrade of its Reflection range, chiefly the introduction of Touche Chromatique, the first 'ink-in-care' for coloured hair. Available in four tones – Cool Blond, Cool Brown, Copper and Red – they help to revive colour between appointments for just-walked-out-of-the-salon colour. Simply blend 10 drops with 15ml of the Reflection Masque and leave on for five minutes. Et voila! Colour is revived, while hair is shiny and soft.